Boyds, Md. 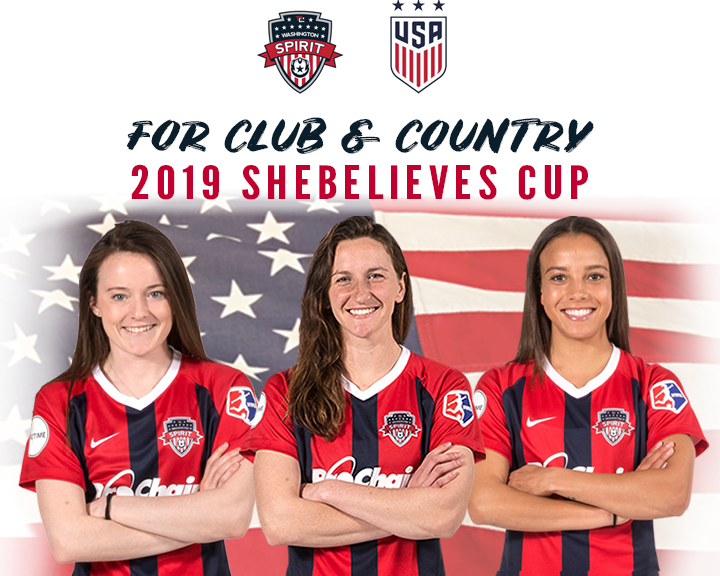 (Feb. 12, 2019) – Washington Spirit midfielders Rose Lavelle and Andi Sullivan, and forward Mallory Pugh have been named to Jill Ellis’ 23-player U.S. Women’s National Team roster for the 2019 SheBelieves Cup. Lavelle enters the event with 21 career international caps and six goals scored. Sullivan has 11 caps with the senior national team, and Pugh has racked up 13 goals in her first 45 career games with the USA. The three Spirit players will represent FIFA’s No. 1 ranked women’s team against No. 4 England, No. 8 Japan and No. 10 Brazil in the SheBelieves Cup. All four teams will be participating in this summer’s 2019 FIFA Women’s World Cup in France. Brazil, Japan and the USA are three of the seven teams that have participated in each of the seven previous Women’s World Cup tournaments.